Spooky Action: The 21 Biggest Technology Flops? Who Writes This Stuff? Famous former blogdesignophrenic (and a blogger I admire), Troy Worman, posts about the 21 Biggest Technology Flops, as chosen by Computerworld. Apple Newton - can you say technoSanjaya? Newton vs. Palm Pilot should be a case study at every business school in the world. Newton was the ultimate PDA when announced. It had the Apple name. It had the latest in handwriting recognition. And as Yul Brynner would say "Et cetera, et cetera, et cetera". There was only one problem. You had to spend a ridiculous amount of time "training" the device to recognize your handwriting! But is handwriting recognition the only alternative to using a keyboard? Everyone assumed so. Then some propellerhead over at Palm got hit on the head by [I won't say it], and realized that all people truly wanted was the ability to enter things into a handheld device, and they'd be willing to spend a little time learning a new syntax in exchange for real productivity. The Palmers created graffiti (remember learning that?) and the need for generalized handwriting recognition disappeared from the face of the earth. That was one very costly assumption. Digital Audio Tape - Paging Jack Valenti; Mr. Valenti, please pick up the red courtesy phone and explain how the RIAA killed consumer digital audio tape. The funny thing is that there are millions of digital audio tapes in use today; they're just being used for data backup. DIVX, not to be confused with the DiVX codec - Let's see: Should I buy a specialized player to play the proprietary DIVX discs, or buy a DVD player, which is being touted as being "open"? Right. Next? dot.bombs - Not since Hans Christian Andersen published "The Emperor's New Clothes" have the gullible been relieved of so much cash by such willing charlatans. e-Books - truly the Edsel of technology. They make so much sense on so many levels - portability, searchability - but the user experience, especially in context of years of experience with the tactile sensation of books, just doesn't measure up. IBM PCjr - IBM worked really hard to insure that PCjr didn't cannibalize sales of the IBM PC. They succeeded beyond their wildest dreams. Internet currency - at least banana republics have real estate - and bananas. Currency backed by sock puppets and Whoopi Goldberg? 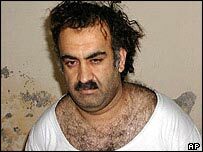 Microsoft Bob - he and the Pets.com sock puppet broke Khalid Sheik Mohammed. My brain hurts just thinking about it. The Net PC - "But they sold like hotcakes in France! What gives?" Funny thing is that the modern cell phone IS the realization of the Net PC for many people. Push Technology - the electronic equivalent of the paper blob. What's wrong with this picture: You offer a service that distracts people from their jobs, and stick their employers with a massive bandwidth bill? Smart Appliances - "Yes, I'm looking for one of those refrigerators that will automatically broadcast the fact that I drank six cases of beer and ate 37 frozen pizzas this weekend." On second thought, maybe they would have succeeded if they'd focused on the hard-core couch potato market. Virtual Reality - it turns out you don't need to spend a bundle on funny glasses to live in a fantasy world. How much money does WoW make? Apple Lisa - even Bill Gates has admitted there'd be no Windows GUI without Lisa. NeXT - An array of cutting edge feature that became de rigeur in short order, the underpinnings of Mac OS. If only they hadn't been so damned conceited. Sometimes it's the company, not the technology that fails. OS/2 - Bill Gates got IBM to fund his next-generation operating system. Listen to the speech linked above to see why he was a god in the early 90's. Qube - Your CEO has a grand vision; your CFO forgets to show him the capital outlays required; but they did nearly everything today's interactive services do. If they'd only had a couple trillion dollars more. Speech recognition - In numerous specialty applications, this technology rules. I wonder why nobody ever created speech graffiti for PDAs or cell phones? WebTV - the pet project Bill Gates can't bring himself to put to sleep. His very own PCjr. Having graduated from college with a computer science degree in 1982, I remember the boom and bust cycles of most of these vividly. I wonder what technological marvels of 2007 will make this list in 2017? Not exactly 2007 but the Segway comes to mind. Excellent observation on your part! It's funny, but honestly I almost included Sony's misadventure into Blu-Ray but then thought not enough time has passed to make such a judgment. Great minds think alike, eh? Even thought Blu-Ray was on my original list, when I saw that you listed Mini-disc I knew I was right! Sony suffers from a fatal case of megalomania on a regular basis, and these are simply the latest two examples. That's what makes you The Great, my friend! As far as Sony goes, commercial megalomania seems very fitting. Betamax being, perhaps, the biggest example.